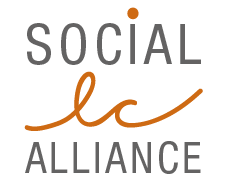 Social LC Alliance welcomes all actors who want to collaborate in the work for the methodological development and practical application of Social Life Cycle Assessment of products (goods and services). The purpose of the collaborative association is to be a platform, a knowledge centre and a learning network of experts coming from enterprises, social organisations and institutes, knowledge centres and consultants, authorities and other relevant actors who – from their specific knowledge and acquaintances – want to work (together). Our work feeds in to the work on the overarching Life Cycle Sustainability Assessment (LCSA), that carries out an assessment of products based on environmental, social and economic issues. It does so by combining three LCA techniques which all share similar methodological frameworks and aims. An environmental LCA (E-LCA) looks at potential impacts to the environment, a social LCA (S-LCA) examines the social and socio-economic consequences and life cycle costing (LCC) is used to assess the cost implications. The association wants to make LCSA known and reinforce its scientific ground in order to assess the effects and advantages of products over their full life cycle. Should you be interested in joining, please send a mail to contact@social-lca.org with your details and we will add you to our network and mailinglist.